MLS# 9229451 – Built by Highland Homes – Ready Now! ~ Beautiful curb appeal with brick-stone and accent wood shutters. 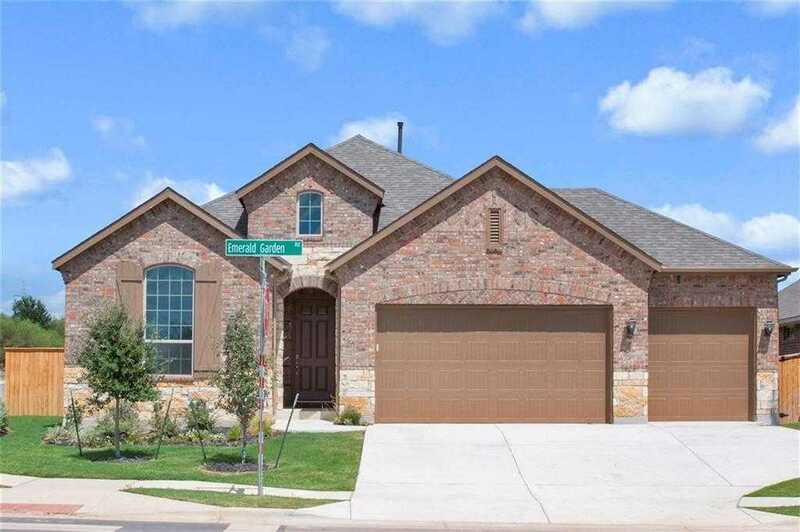 Open family and kitchen with granite countertops and white kitchen cabinets. Separate tub and shower in Master Suite with designer tile inlays. Roomy Master Bed with bay window. 3 full baths with quartz countertops. Extended patio for outdoor enjoyment. Full brick, Garage door openers, gutters, full irrigation and so much more! 3 Car Garage on Corner lot! !